A rigid container was something I had seen at RTMC one year. It seemed simple to make out of Ssonotube. 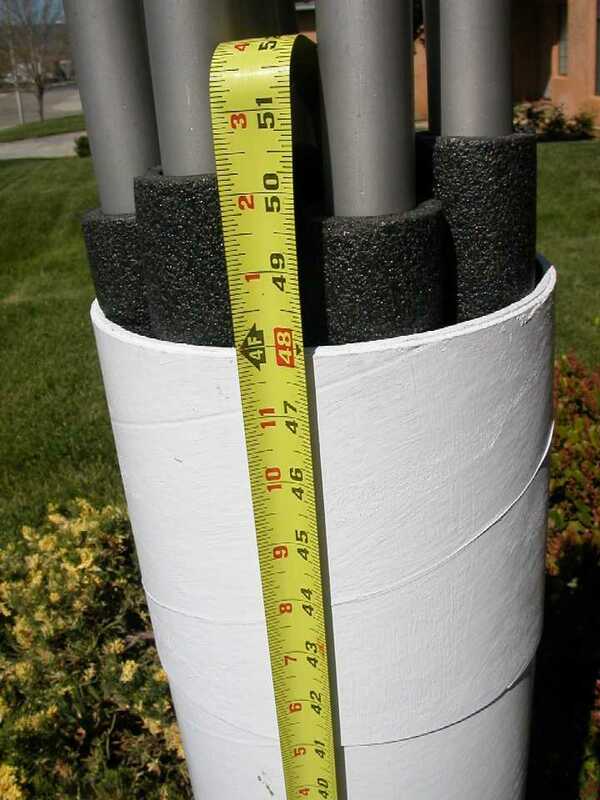 I saw some 8" Sonotube (used for pouring concrete support columns) at Home Depot that was actually in two sizes, 8" and 8 1/4". 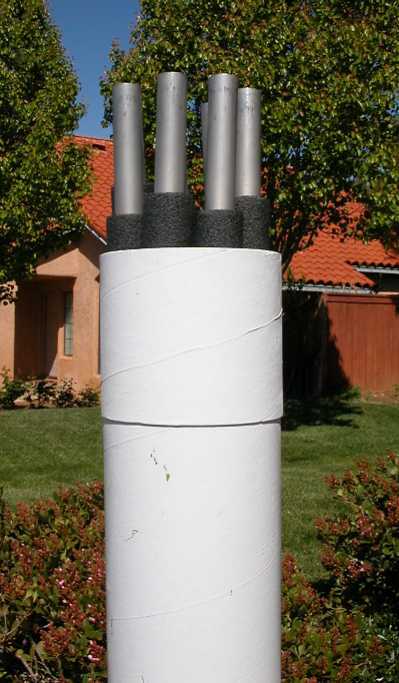 The pieces slipped nicely over one another, so I bought a 6 ft section of the 8" tube and 2 ft of the 8 1/4" tube. I measured the truss tubes at about 5 ft in length. 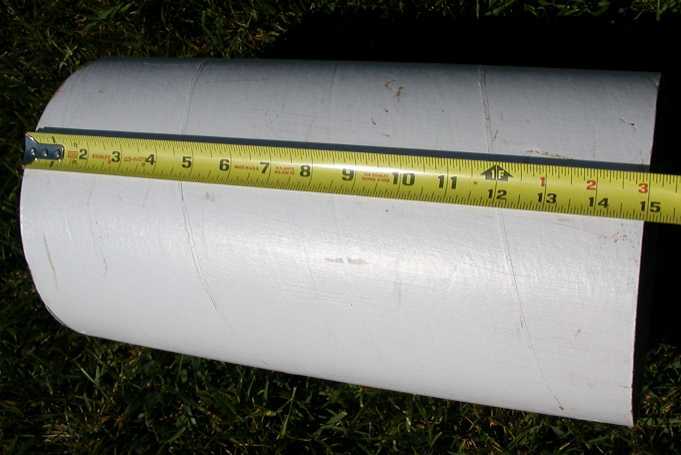 I then cut a 4 ft section of the 8" tube, and then a 15 inch piece off of the 8 1/4" tube for the top of the container. 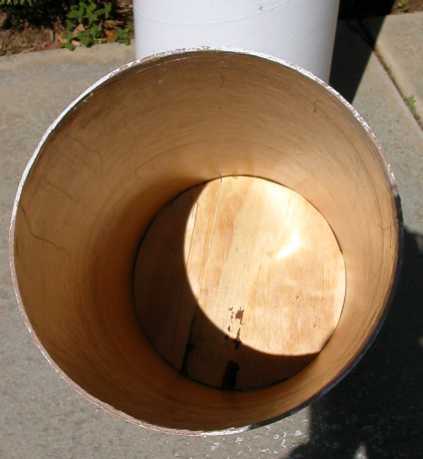 Place the left over and short piece of each size of tube onto a piece of 1/2 inch plywood and used a pencil to draw along the inside of the tube for the end plugs. I used a jigsaw to carefully cut out the circles, and then sanded them to fit snugly in the end of each sized tube. I pre-drilled and then used four 1/16" x 1/2" wood screws to secure each plywood end plug, making sure that they were flush with the end of the tubes. Caulk around the inside of the end plugs with silicone. This was very hard to do on the longer 8" tube, and I should have put some caulk on it before I put the plywood end on. Put the truss tubes in the lower section of the case. Put the cap over the top of the tubes. Using a pencil, mark how far the cap comes down over the tube onto the base tube. 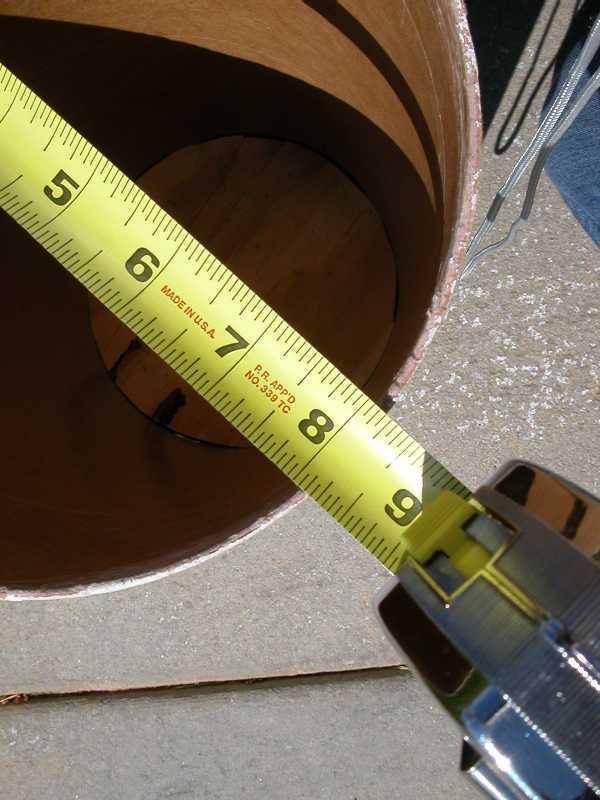 Take the cap off and measure how far down from the lip of the base tube to the mark. Cut a piece of the leftover 8 1/4" tube to this length. Cut along the side of the tube to form a split ring. You should remove about 1/4" from the circumference of the tube. 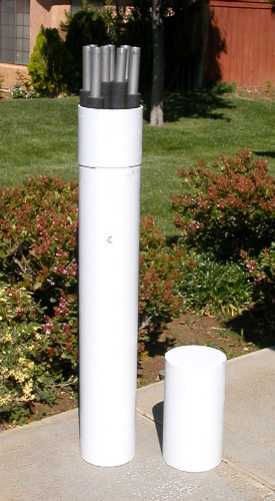 It should now snugly fit around the top of the 8" tube, filling the gap between it and the end cap. 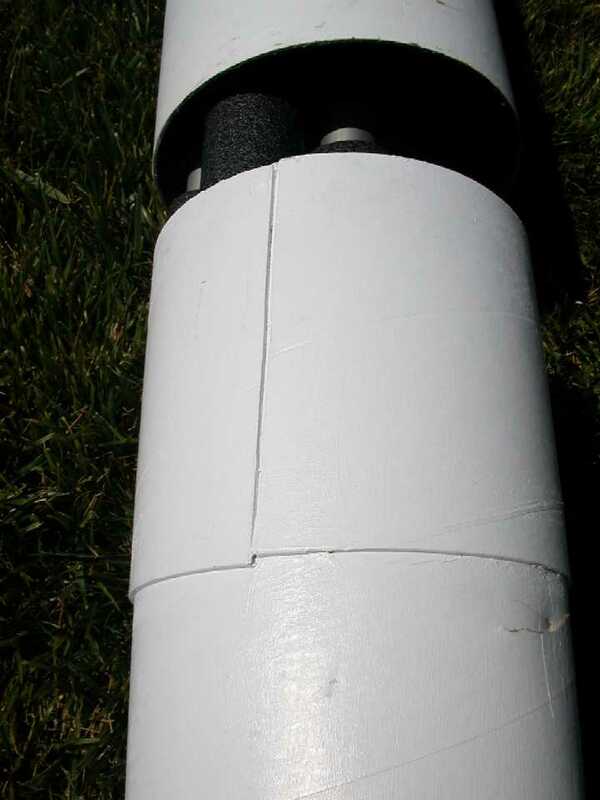 Securely glue the spacer flush with the top of the base tube. 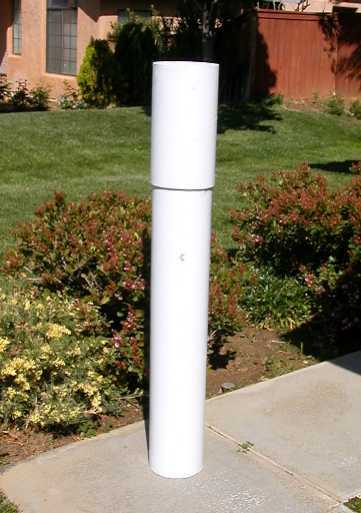 Paint the entire tube and end cap to your liking. You're all finished!